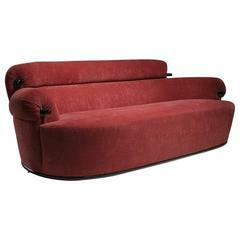 Sofa "Fasce Chomate P11" Luigi Caccia Dominoni, 1963. Pair of brass and frosted glass lamps by Luigi Caccia Dominioni for Azucena. 2-seat Italian sofa in travertine, tiger's eyes. 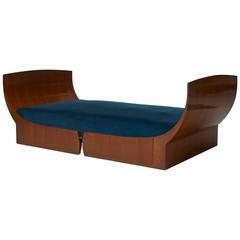 Three-seat sofa attributed to Cornelis Zitman, 1964. Three places vintage sofa, restored and upholstered with Gucci fabric. Feet made of wood and steel.